Exposures: RGB-70 min each, Lum - 130 min. In this colorful celestial still life, the nebula NGC 2170 shines a reddish orange at the middle right. 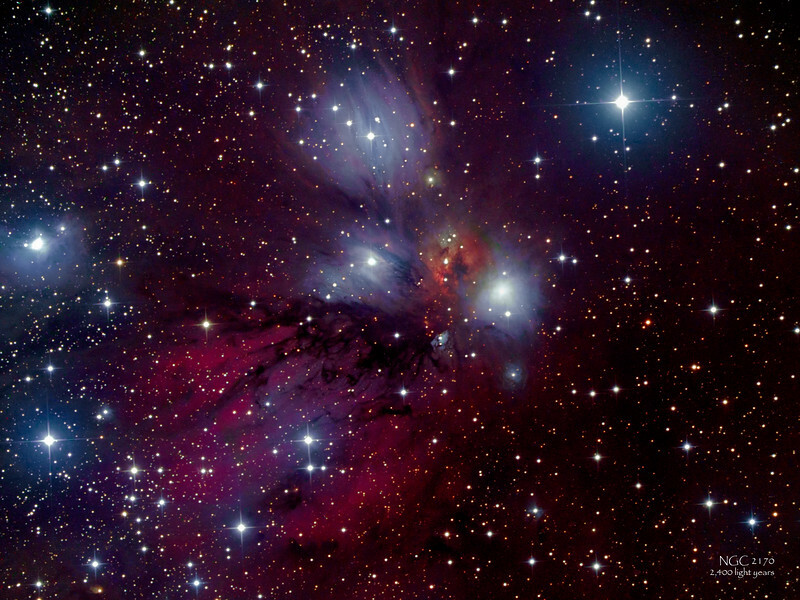 It is joined by other bluish reflection nebulae and a compact red emission region in the lower left, against a backdrop of stars. Dark dust lines make this picture even more dramatic. This is a massive, star-forming molecular cloud region in the constellation Monoceros. It is approximately 2,400 light-years away.